Get some cultural insight at Natural History Museum and National Gallery. Head to Harrods and Jamon Jamon Paellafor plenty of shopping. There's still lots to do: hunt for treasures at Camden Market, ponder the world of politics at Houses of Parliament, admire the natural beauty at Buckingham Palace, and contemplate in the serene atmosphere at Westminster Abbey. To see more things to do, maps, and more tourist information, you can read our London travel route planner . Reykjavik, Iceland to London is an approximately 7-hour flight. You can also do a combination of flight, bus, and train; or do a combination of flight and train. In September, London is somewhat warmer than Reykjavik - with highs of 22°C and lows of 12°C. Wrap up your sightseeing by early afternoon on the 6th (Thu) to allow time for travel to Paphos. Do your shopping at AQUA Shop and Lempa (Lemba) Pottery Workshop. Your cultural itinerary includes sights like Panagia (Monastery) of Kykkos and Omodos Village. 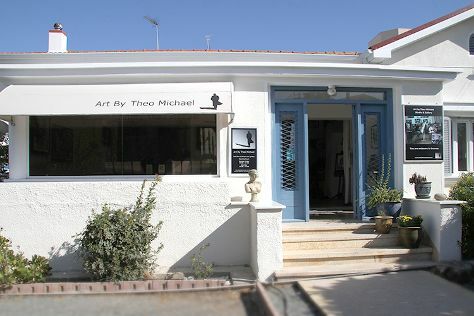 You'll find plenty of places to visit near Paphos: Aphrodite's Rock (in Kouklia), Michael Owen Art Gallery (in Lania) and Limassol (Kolossi Castle & Kikis Pandechis Pottery). There's still lots to do: explore the ancient world of Tombs of the Kings, get a new perspective on things with Boat Tours & Water Sports, kick back and relax at Coral Bay, and buy something for everyone on your list at Kings Avenue Mall. For other places to visit, more things to do, ratings, and other tourist information, go to the Paphos trip planner. Getting from London to Paphos by flight takes about 8 hours. Other options: do a combination of train, bus, and flight; or do a combination of flight and bus. The time zone difference when traveling from London to Paphos is 2 hours. 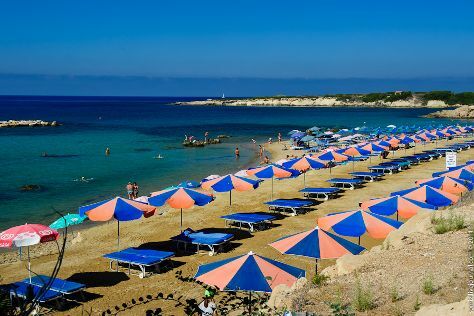 Expect a bit warmer temperatures when traveling from London in September; daily highs in Paphos reach 35°C and lows reach 24°C. On the 10th (Mon), you'll have the morning to explore before heading off to Larnaca. On the 10th (Mon), take in the architecture and atmosphere at Church of Saint Lazarus, then take in the exciting artwork at Art by Theo Michael, and then step into the grandiose world of Medieval Fort. To see ratings and other tourist information, refer to the Larnaca trip planner. You can drive from Paphos to Larnaca in 2 hours. Another option is to take a bus. In September, daily temperatures in Larnaca can reach 35°C, while at night they dip to 24°C. Wrap up your sightseeing on the 11th (Tue) to allow time to travel to Cairo. On the 11th (Tue), examine the collection at Egyptian Antiquities Museum and then shop like a local with Khan Al-Khalili. 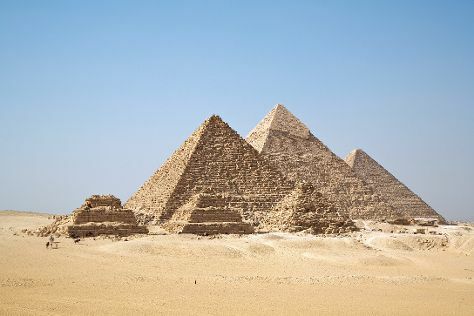 On your second day here, delve into the distant past at Pyramids of Giza, pause for some photo ops at Great Sphinx, and then admire the landmark architecture of Hanging Church (El Muallaqa, Sitt Mariam, St Mary). To find photos, ratings, maps, and other tourist information, you can read our Cairo trip planner . Fly from Larnaca to Cairo in 4.5 hours. Traveling from Larnaca in September, you will find days in Cairo are somewhat warmer (39°C), and nights are about the same (27°C). Wrap up your sightseeing on the 13th (Thu) early enough to travel to Paphos. Your cultural itinerary includes sights like Panagia (Monastery) of Kykkos and Kolossi Castle. Head to AQUA Shop and Kings Avenue Mallfor plenty of shopping. Explore the numerous day-trip ideas around Paphos: Aphrodite's Rock (in Kouklia) and Kikis Pandechis Pottery (in Limassol). Enjoy Paphos some more: explore the ancient world of Tombs of the Kings, look for gifts at Lempa (Lemba) Pottery Workshop, enjoy the sand and surf at Coral Bay, and discover the deep blue sea with a scuba or snorkeling tour. Take the guesswork out of planning a Paphos vacation by using our trip itinerary maker. Traveling by combination of flight and bus from Cairo to Paphos takes 7 hours. Alternatively, you can fly. Expect slightly colder temperatures when traveling from Cairo in September; daily highs in Paphos reach 35°C and lows reach 24°C. Finish up your sightseeing early on the 16th (Sun) so you can travel to Berlin. Shop till you drop at Boxoffberlin and Rausch Schokoladenhaus. Get some cultural insight at Pergamon Museum and Mauermuseum - Museum Haus am Checkpoint Charlie. There's much more to do: appreciate the history behind Brandenburg Gate, look for gifts at Korsettmanufaktur TO.mTO Berlin, see the interesting displays at Topography of Terror, and get a sense of history and politics at Reichstag Building. For maps, photos, and tourist information, refer to the Berlin road trip website . You can fly from Paphos to Berlin in 7 hours. Another option is to do a combination of bus, car, and flight. The time zone changes from Eastern European Time (EET) to Central European Time (CET), which is usually a -1 hour difference. Finish your sightseeing early on the 19th (Wed) to allow enough time to travel back home.